UFCW 663 members traveled from Greater MN and the Metro and met at the Capitol on Friday, April 5 to support the Freedom to Drive! The License Access & Public Safety act [HF 1500] passed the MN House of Representatives. We are a proud partner in the Freedom to Drive coalition. UFCW Local 663 is proud to be a member of United Latinos. Many of our Local 663 union members in Metro Grocery can expect to see raises this March. These raises are guaranteed because of the contracts negotiated, voted on, and ratified in 2018 by workers just like you. Work and shop United Food & Commercial Workers Local 663! When workers stick together, we make things better. Better Wages, Better Benefits, Better Lives. This is what you get when you are a Union Member. Health insurance you can count on. Building a secure retirement, together. Join UFCW Local 663 and Union Grocers as we partner with Leukemia and Lymphoma Society to end blood cancers! Donate at register of participating union shops April 4 thru April 24. 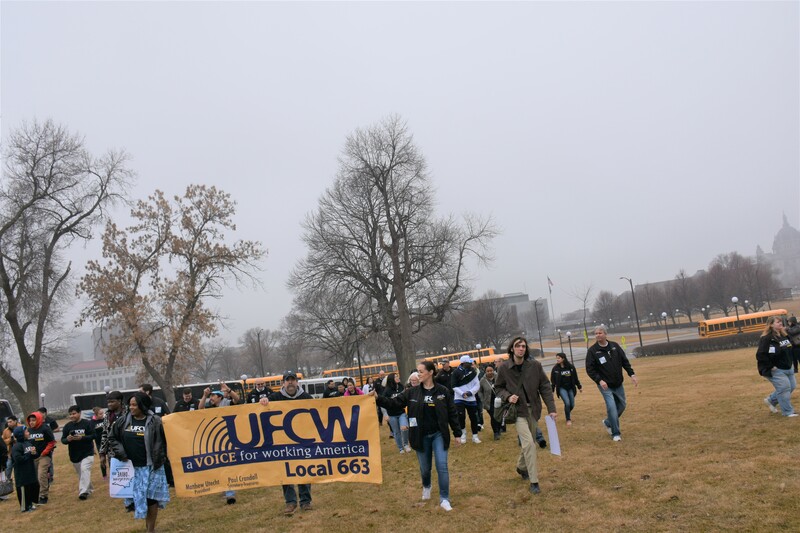 The United Food and Commercial Workers Union Local 663's union family includes workers in grocery stores, food cooperatives, retail, meat packing plants, healthcare facilities, exposition services and paramedic ambulance services. Strong, active and informed members are essential to the strength of our union. Together, we are able to win better wages, benefits and working conditions. UFCW Local 663 is proud to offer members newsletters, special events, tournaments, scholarships, tickets and access to Ours Resort. Union meetings can be found in the calendar section on our website. Also, make sure to stay connected with Local 663 through our social media.